The Gobbins, in Islandmagee, could be one of three new wedding venues in Mid and East Antrim. The Andrew Jackson Cottage, in Boneybefore, Carrickfergus and the Arthur Cottage, Cullybackey, could also become locations for civil and partnership ceremonies, if plans are approved. Gobbins staff members Clare and Sam McKitterick at the viewing platform at The Gobbins. The council has applied for approval to host civil marriage and partnership ceremonies at these locations with the expectation that the venues will be licensed in the coming months. 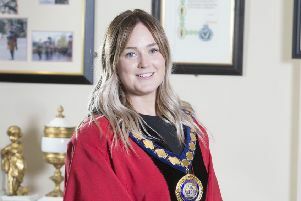 Jackie Tennant, one of the registrars at Mid and East Antrim Borough Council, said: “The idea came from a request for a ceremony to be held on the viewing platform at The Gobbins, and council thought why not roll it out to other heritage sites in Mid and East Antrim. “It makes use of these stunning venues and offers people a chance to explore these facilities and the local areas they’re in. “We’re also hoping that nearby local businesses will benefit as a result. It will certainly help put Mid and East Antrim on the map, and offer a very individual experience to lucky newly-weds who want to stand out from the crowd on their special day. Alister Bell, manager at The Gobbins, said: “We are really looking forward to being able to carry out weddings here. 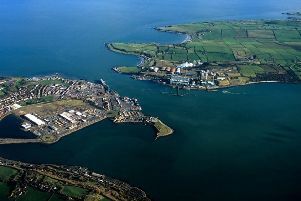 With such amazing views as far as Scotland and all along the Causeway Coastal Route, we can offer a truly unique experience unlike any other in the whole of Northern Ireland.